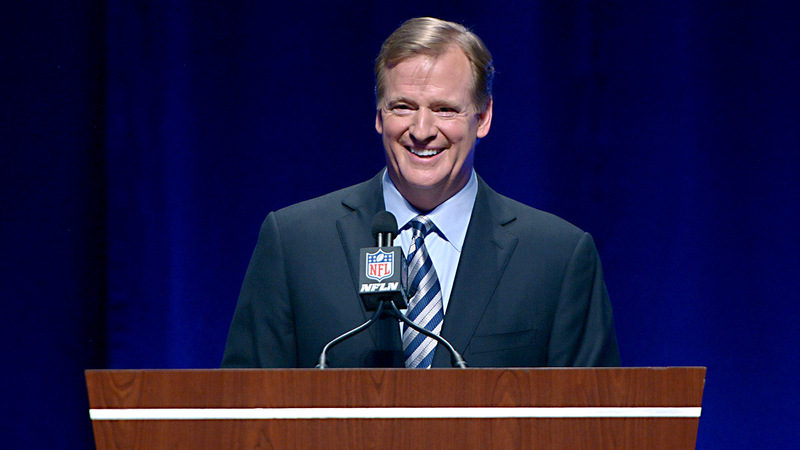 NFL commissioner Roger Goodell has caught a lot of flak this offseason for his role in the Tom Brady-Deflategate case. He’s had a planes fly over his home with banners telling him to go back to New York and wishing Tom Brady a happy birthday. He’s been criticized so much in the past that the NFL went as far as getting Goodell extra security from the local police department. Even after all that, one Maine man went and taunted Goodell at a local supermarket. How? By chanting "Free Tom Brady" to Goodell in the store. "I had two choices – continue on my way in life or go there – and I decided to go there," said Mike Marcello, director of sales for four local radio stations. According to Macello, the entire crowd of people in the supermarket began to chant "Free Tom Brady" along with him. He even said people chased down Goodell to continue yelling it. The next day at work, Marcello was praised for being a hero. New England fans obviously don’t mess around and will stand by their quarterback through anything. For Goodell, it’s probably not what he wants to hear as he’s going out to get milk and other miscellaneous grocery items. You can watch Macello talk about his hilarious encounter with Goodell in the video below.